Dedicated to Defeating Lou Gehrig’s Disease! 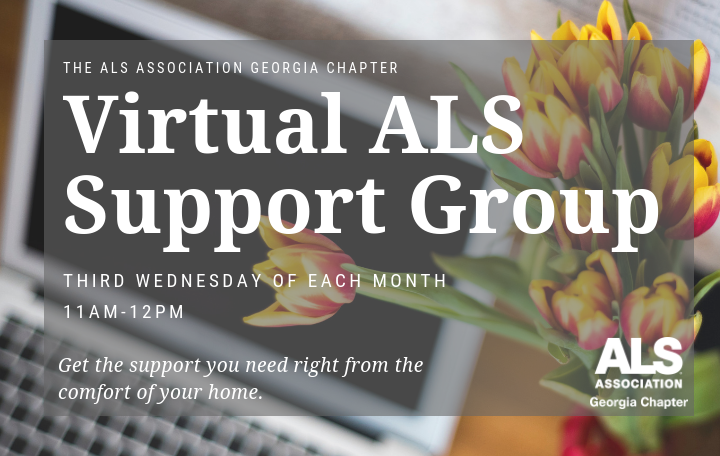 The ALS Support Group Meeting is an essential tool in helping patients and their caregivers, families and friends live with ALS. These meetings provide opportunities for individuals to share their personal experiences and to learn more about strategies for preserving the independence and quality of life of ALS patients and their loved ones. Participants learn they are neither alone nor without help or hope. Meetings are free and open to all patients and concerned others. The ALS 101 Informational Meeting is targeted for ALS patients who have been diagnosed in the last 6 months or who are in the early stages of ALS. The meeting is held every third Wednesday of each month at the ALS Associations office from 1:00 pm to 3:00 pm. Click here to register for the upcoming event.